The early July sun made my eyes squint. The air was crisp. The wind gently washes my face as the lull of water swirls below our balcony at our favorite place, the Chippewa Hotel. 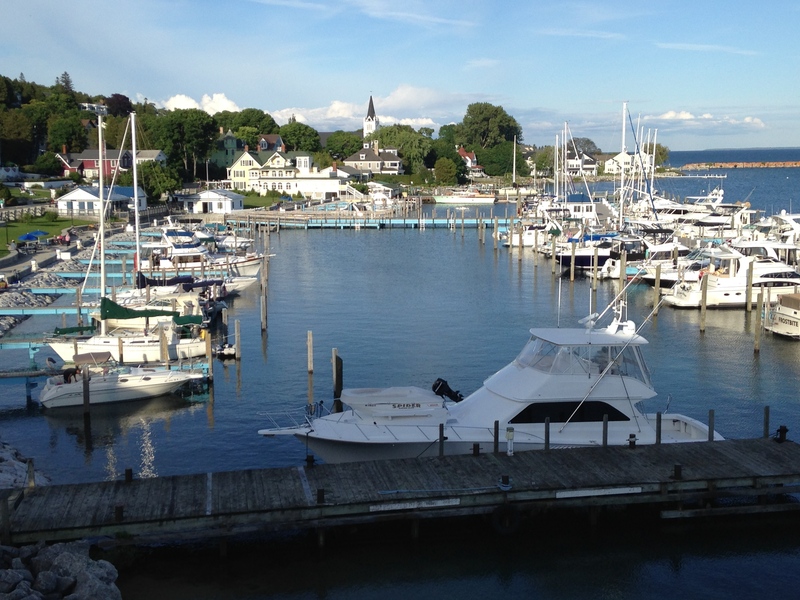 From my perfect perch on the third floor deck, I gazed at the breathtaking Catamaran pulling into Arnold’s dock at the pier in Mackinac. The blast of the horn sent the seagulls flying. The sun burns through the fog in all it’s glory, and sparkles like diamonds on the water, my coffee is perfect. The hard working team at the Pink Pony, unfold the rows of umbrellas in preparation. I look out at the vastness of water as the hustle of people and boats builds momentum. My work pace begins to fade away from my memory. The friendly clip-clop of horses filtered through the rumbling of bikes whizzing by. Children giggle and run up to smell the fresh fudge with eyes as wide as saucers, eating ice cream before it melts. The parade of people stroll by, renting bikes, many brought their own. My wife and I are ready to start our trip today with our bikes up the long hill past the Grand Hotel, as we pass the stables, make a left and disappear into the serenity of the West bluffs. We take a breath in with our eyes and look at the boats coursing through the water towards the Mackinac bridge. I feel at home, as I reflect on the little town where I grew up. Is this heaven? No, It’s Mackinac Island. I’m home. Again.